Here's how you can get your hands on Wraith's Secret Heirloom Knife in Apex Legends. 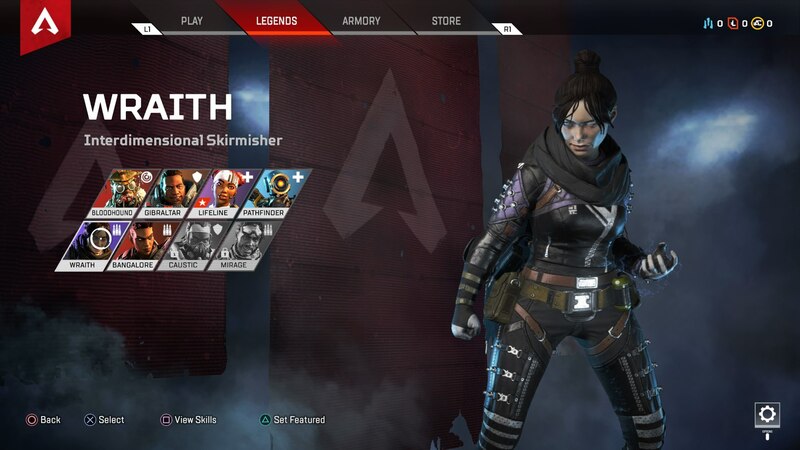 If you main Wraith in Apex Legends, then you've definitely come to the right place. In our Apex Legends Wraith Knife guide, we'll be walking you through obtaining the incredibly rare Heirloom Knife, which is quite the cosmetic item to show off. If you’ve tried out some of the emotes that Wraith has in Apex Legends, you might have seen the character use a knife. This knife is known as the ‘Secret Wraith Heirloom Knife,’ and yes, you can actually obtain it as a weapon in Apex Legends. But there’s a catch. Unfortunately at the time of writing, you can only unlock the Secret Wraith Heirloom Knife through Apex Packs. These can either be earned by levelling up in the game, or by outright purchasing them with Apex Coins. For a full walkthrough of how to obtain these packs, head over to our Apex Legends Packs guide. On top of this, the knife in question is counted as a Legendary drop, meaning it’s one of the rarest items in Apex Packs. Your odds of stumbling upon the knife in a pack are virtually non-existent, but this is the only confirmed way of obtaining the Secret Wraith Heirloom Knife. If you’ve been hunting for Wraith’s unique knife, you might be wondering whether the knife actually has any special abilities or damage attributes. Unfortunately, there’s no bonuses for Wraith’s knife whatsoever. It simply acts as Wraith’s normal knife would, with the same damage values. Here at USgamer, we’ve got plenty more pages on Apex Legends from Respawn. Head over to our Apex Legends weapons guide, or our Apex Legends characters guide for more information on the new battle royale game.